Wines from the Rhone Valley in France can be great values especially those wines labeled Cotes du Rhone. Cotes du Rhone is an AOC wine whose territory extends over the Rhone Valley from Vienne in the north to Avignon in the south. Cote means hillside and Rhone is the famous river that runs thru southeastern France. The AOC spans across areas in both the northern and southern Rhone Valleys. Cotes du Rhone is often referred to as a generic appellation because it is the lowest level of AOC wines and covers such a large area. All though not the subject of this article, the AOC Cotes du Rhone Villages allows for “better” wines coming from one of the allowed villages. These will be explored in a future article. Wines have been produced in the Rhone Valley since Roman times. In the 1600s, regulations were created governing the production of wines on the right bank of the Cote du Rhone. In 1737, it was ordered that CDR was branded on the casks of wine being shipped from the port at Roquemaure on the Rhone. When the left bank was included in the official AOC appellation, the name was changed to Cotes du Rhone. Wine Enthusiast has a tremendous offering of wine accessories. In reality, most of the grapes used in Cotes du Rhone wines are from the southern Rhone Valley. 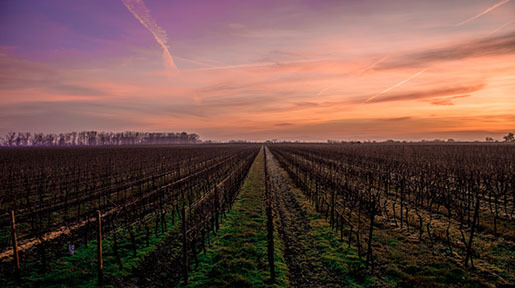 Over 10,000 growers produce more than 400 million bottles of Cotes du Rhone wine each year. There are over 170 communes covered in this mammoth appellation which includes six departments: Ardèche, Drôme, Gard, Loire, Rhône and Vaucluse. As you might expect for such a vast region, the soil types vary from clay or sand or stones in the mountains. Almost of all of the Cotes du Rhone wine produced is red. The few wines made in the north will have a majority of Syrah and are known as Cotes du Rhone septentrional. Since they are picked, by hand, on steep hillsides, these wines are more expensive but can have a greater depth of flavor. The wines made in the south, by far the greater number, are called Cotes du Rhone méridional and are made from a blend of Grenache, Syrah, Mourvedre, Carignane or Cinsault with at least 40% from Grenache. In addition, 5% may be a permitted white grape. 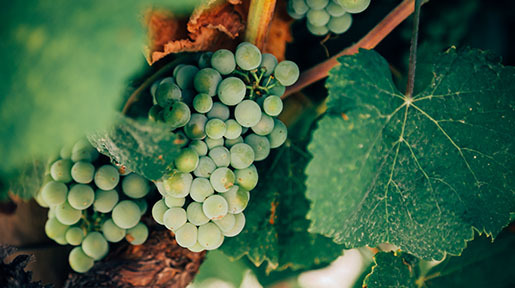 The whites are made mostly from Clairette, Roussanne, Grenache Blanc, Marsanne, Bourboulenc, or Viognier. Some Ugni Blanc and Picpoul Blanc (less than 20%) is allowed as well. Rose wines are also made. They may have a maximum of 20% white grapes. All wines must have a minimum alcohol content of 11%. A plethora of producers in this region employ a multitude of methods of winemaking. Styles range from those using Carbonic Maceration to make light fruity wines (See Wines of Burgundy's Beaujolais Wine Region: Quality You Might Not Expect) to more serious high quality efforts that are capable of ageing for a few years. Typically, a Cotes du Rhone will be ruby in color to an inky purple. They are easy to drink but have a complexity from the mix of varietals. The better reds age and develop an earthiness to them. 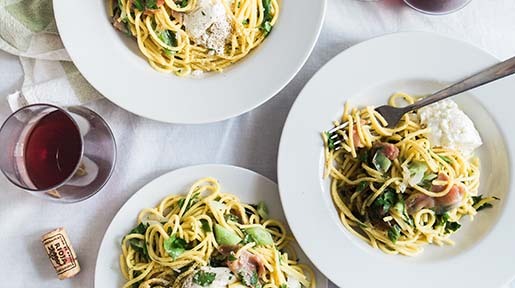 The red wines match nicely with almost all foods except for the lightest of fish dishes when, the whites make a great pairing. 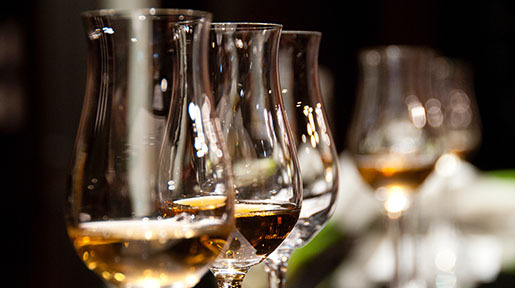 The white wines tend to be light golden in color with aromas of peach and flowers. They are nice by themselves before a meal or with lighter fare. Production levels for some wines can be enormous. These wines are usually made by Nègociants, who may also make their own higher end wines. For example, E. Guigal, who makes some of the finest wines on the planet in the northern Rhone, also makes Cotes du Rhone wines. Over three million bottles are produced annually of the red, which usually sell for under $15. They also produce about 150,000 bottles of rosé and 400,000 bottles of white annually. These wines are very good and ubiquitous and I would certainly recommend them. So what other producers should you look for? Many producers’ Cotes du Rhone’s are under $20 and provide outstanding drinking. Chateau de Saint Combe is a producer well known for excellent Gigondas wines (Gigondas Wine: The Rhone Valley's Value Alternative to Chateauneuf du Pape). They also make an excellent Cotes du Rhone that is 100% Syrah and available for around $15. Delas Freres is a Nègociant from northern Rhone. Their Cotes du Rhone St. Esprit runs about $10 and is delicious. Domaine Grand Veneur is a venerable Chateauneuf du Pape producer (see Chateauneuf du Pape: Great Red Wine from France's Southern Rhone Valley) which also makes a very good Cotes du Rhone Reserve. For a few dollars more, JL Chave (maybe the greatest winery anywhere) makes a Cotes du Rhone blend of Grenache and Syrah. It retails for around $25. Chateau Beaucastel, another top Chateauneuf du Pape producer sells a Cotes du Rhone under the Coudoulet de Beaucastel. A blend of Mourvedre, Grenache and Syrah and other grapes, it is an excellent wine that improves in the cellar and will last 10 years easily. Chateau de Segries has a very nice Cotes du Rhone that sells for under $15. They also make one labeled Clos de l’Hermitage that is absolutely outstanding and sells for around $30. One interesting producer is Chateau Rayas. Their Chateauneufs are some of the best and rarest wines from that appellation, and some of the most expensive. They make a Cotes du Rhone called Fonsalette that is unique and can cost $75 a bottle. In my mind, it is not worth the premium; however, it is an excellent wine. There are so many more producers whose wine should be tasted. I encourage you to experiment with any Cotes du Rhone that fits within your price range. Right now, the stores are filled with the 2007 vintage. As you can see in the Southern Rhone Red Vintage Chart, this was an excellent vintage. It was not quite as good in the northern Rhone, but still a fine vintage. 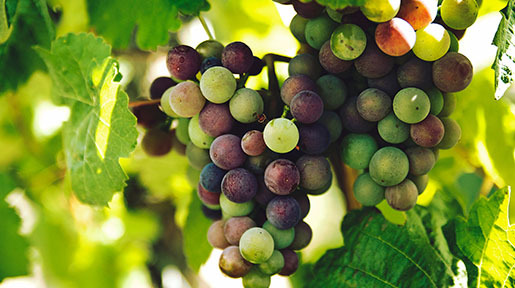 Since most producers use grapes from the south, the odds are even more in your favor. I am buying an assortment for drinking over the next few years and I encourage you to do likewise. Buy a bottle and if you like it, buy a few more for the cellar. I plan on drinking most of the 2007s in three to five years. As for the other vintages on the shelves, I am comfortable with 2006 and 2005 cautious with anything older. I hope you all go out and find a bottle (especially from 2007). I would love to hear what you think. The Rhone Report: About Rhone and Rhone-Style Wines and Winemakers is part of an ongoing series. With summer vacation season just around the corner, some wine-interested travelers may want to learn about wine, food and sightseeing highlights in one of our favorite corners of the world – the southern Rhone Valley of France. Specifically, in this column we are focusing on the core of the Cotes du Rhone wine area in the northern part of the department of the Vaucluse, called Haut Vaucluse. Is Chateauneuf-du-Pape Really the King of Southern Rhone Red Wines? The Rhone Report: About Rhone and Rhone-Style Wines and Winemakers is part of an ongoing series. The most famous appellation in the southern Rhone Valley is Chateauneuf-du-Pape. Wine critic Robert Parker makes no bones about loving Chateauneuf, and calls it the most important appellation in the entire Rhone Valley. According to reputation, the French appellation contrôllée system and market prices, the pecking order of southern Rhone wines is something like this: Chateauneuf-du-Pape, Gigondas , Vacqueyras, Beaumes-de-Venise, Vinsobres, Cotes-du-Rhone Villages Cairanne (and Rasteau, Seguret and Sablet), Cotes-du-Rhone Villages from other named villages, Cotes-du-Rhone Villages (with no named village) and finally generic Cotes-du-Rhone. Check out our discussion about the various Rhone appellations .